Edges is a responsive landing page template suitable for business and agencies. 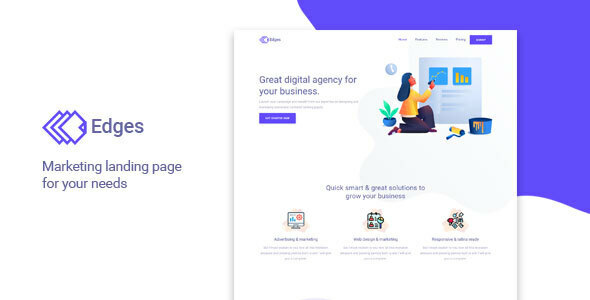 Edges will help you to make any website like business, agencies, startup, showcase app, book landing or corporate website very easily as it has been coded in Bootstrap 4 and CSS3. It looks great with all types of devices (laptops, tablets, and mobiles).